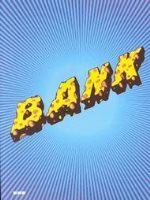 BANK was a collaborative art group from 1994 – 2003. BANK charts the progress of BANK through a series of 27 shows, taking a journey through its obsession with the mechanics, politics and etiquette of making art, and of making art visible. BANK examines art as collective practice, and curation as art practice.